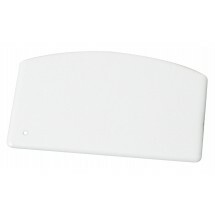 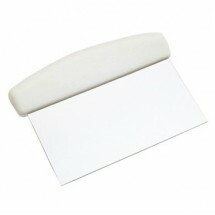 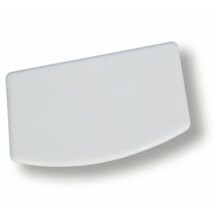 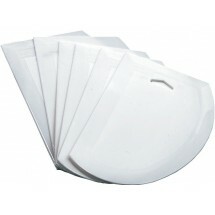 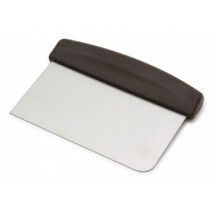 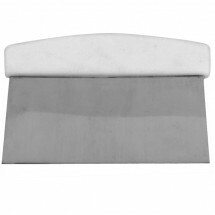 A dough scraper is an essential kitchen tool for every commercial kitchen. 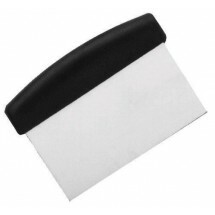 Whether you run a bakery, cafe or full service restaurant, it's likely that you will come to use a dough scraper. 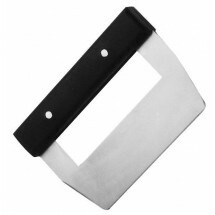 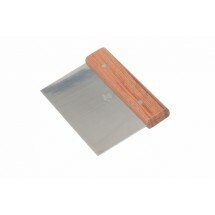 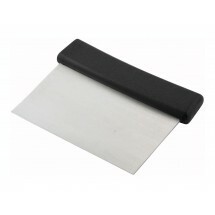 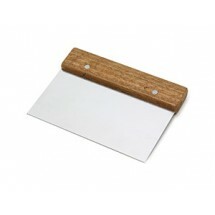 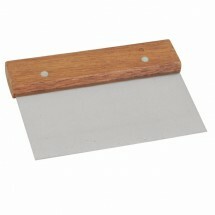 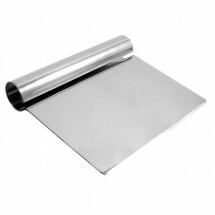 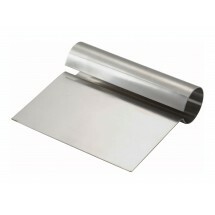 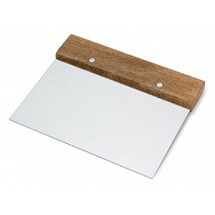 Dough scrapers feature a straight stainless steel blade that enables you to easily cut through dough for making pastries, or cutting up dough into sections. 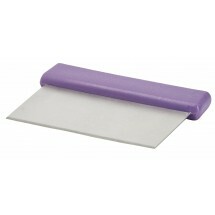 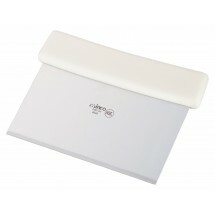 The flexible surface also enables you to scrape surfaces clean of icing, batter, or dough. 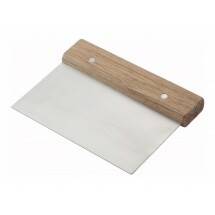 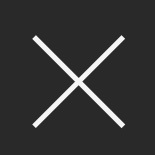 Select a dough scraper with a wood handle, a stainless steel handle or a plastic handle. 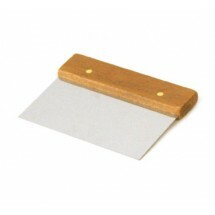 No matter what your preference, our dough scrapers are easy to maneuver and clean.